David Kode is the Advocacy and Campaigns lead with global civil society alliance, CIVICUS. The International Criminal Court in the Hague, Netherlands. Credit: UN Photo/Rick Bajornas. JOHANNESBURG, Oct 25 2018 (IPS) - For many African activists based on the continent, getting to a major human rights summit just underway in The Gambia is likely to have been a challenging exercise. The journey by air from many African countries to the capital, Banjul, for the 63rd Session of the African Commission on Human and People’s Rights (ACHPR), could have been prohibitively expensive, involved transiting through multiple cities and taken days. And if the African Union (AU) has its way, getting the host institution – Africa’s main human rights body – to respond to their grievances of rights violations, as it has done for years, is going to be equally challenging for them. Recent moves by the AU to curtail the Commission’s independence could ultimately leave African activists and citizens without a vital and often rare structure where human rights abuses committed against them are addressed. The ACHPR, whose sessions represent the largest gatherings of civil society in Africa, was established more than 30 years ago in Ethiopia by the AU’s predecessor, the Organisation of African Unity (OAU). Its mandate was to protect and promote people’s and human rights throughout the continent, as well as its founding treaty, the African Charter. Over the years, the Commission has provided a precious space for civil society representatives from nations such as Sudan, South Sudan, the Democratic Republic of Congo (DRC) and Ethiopia – countries where the space for civil society has been closed – to air human rights grievances and see action taken. Indeed, for activists from a country like Eritrea, in which no independent human rights groups are allowed to operate, this body provides presents a unique platform to let the world know about the abuses Eritreans face and to call for solidarity and action, backed by the Commission. Today, the independence that enabled the ACHPR to pass binding resolutions on rights violations is being consistently eroded by the AU. Evidence of this can be seen in a recent AU Executive Council decision that the Commission has a “functional nature” and is not independent from the structures that created it. The statement goes further to caution the Commission against acting as an “appellate body” that undermines national legal systems. The Commission, however, was created by and gets its authority from the African Charter and the fact that its commissioners serve in their individual capacity and not as country representatives suggests the objective of the Commission to carry out independent investigations into human rights violations independent of states. While the AU has remained silent on countless instances of governments’ gross violations of people’s rights, the African Commission has spoken out publicly in its capacity as a quasi-judicial body, condemning these abuses and calling on states to address them. Another AU Executive Council decision instructed the ACHPR to withdraw its accreditation of the Coalition of African Lesbians (CAL) by the end of the year – a move that would deny this prominent LGBTI rights group access to the Commission. This resolution clearly undermines the Commission’s independence and could set a precedent for excluding other organisations during crucial human rights work. The Commission has made some significant judgements such as one passed last year in a case brought by the indigenous Endorois community in Kenya against the Kenyan government. The ACHPR ruled that the government had violated provisions of the African Charter and that it recognise the community’s right of ownership of their land and restitute it. In another landmark case a few months later, the Commission ruled that the DRC pay US $2.5million to the victims and families of those massacred in the southeastern town of Kilwa in 2004. While these judgments are not enforceable, they represent big wins for civil society and communities that are often disappointed by national judicial processes. The threats to the ACHPR’s independence resonate with a worrying trend on the continent where states work to erode the powers of regional and international human rights mechanisms, leaving citizens vulnerable to abuses with no recourse to justice. 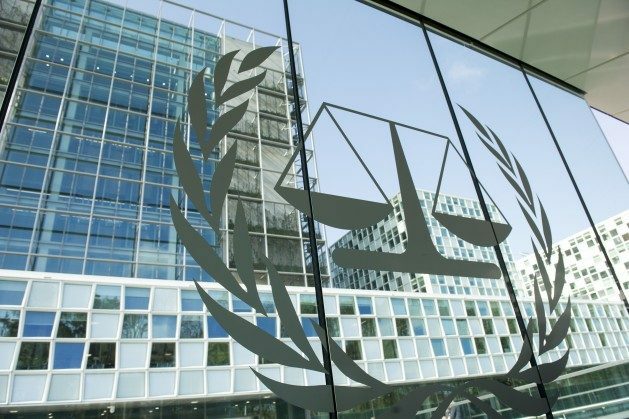 In 2016, Burundi, The Gambia and South Africa notified the International Criminal Court (ICC) of their intention to withdraw from the body and the Rome Statute. Other countries such as Kenya and Uganda have at threatened to also leave, citing a bias by the court against African leaders. The AU also called for a mass pull out of African states and discussed the idea of a collective withdrawal by the continental body. Of the three countries that notified the ICC of their intention to leave, Burundi became was the first and only country to do so, a year ago. Many African states contested the AU’s proposed “withdrawal strategy” while Gambia re-joined the court after a change of government. South Africa put its pull-out plans “on hold” after a South African High Court ruled that a notice of withdrawal without parliament’s approval was unconstitutional. We saw the trend of states undermining judicial bodies emerge again when, in 2011, the Southern African Development Community (SADC) resolved to suspend all operations of one of its key institutions, the SADC Tribunal. SADC heads of state followed this up three years later with the adoption of a protocol limiting the Tribunal’s jurisdiction to inter-state disputes. This decision dealt a major blow to states’ accountability, particularly since the independence of the judiciary in most African countries is compromised and courts are controlled by the executive, leaving citizens with no recourse to seek justice for violations, especially when states are the main perpetrators. The campaign by African states to undermine key regional and international human rights mechanisms have been in response to attempts by these structures to hold them and their leaders accountable. The ACHPR requires individuals and organisations to bring cases before it after exhausting all national legal avenues. Other regional human rights systems are either inaccessible, inefficient or compromised. As the judiciary in many African countries increasingly succumb to pressure from the executive, national courts fail citizens miserably leaving them with no choice but to approach take the African Commission. The AU’s curtailing of the Commission’s independence, SADC’s the suspension of its Tribunal and African states’ rejection of the Rome Statute and the ICC all contribute to an environment in which citizens are left vulnerable to human rights violations and crimes against humanity, and victims and survivors are denied access to justice. If African leaders succeed in stripping the ACHPR of its independence and authority, African people will effectively lose yet another valuable institution to the rising tide of repressive and restrictive governance, keeping many vulnerable to a cycle of human rights violations, with no recourse for justice or even a hearing.